Product #2825 | SKU 2-038-0005 | 0.0 (no ratings yet) Thanks for your rating! The microPowerPod for M3 Cinema Adapter from Redrock Micro extends your Redrock rig to support a camera battery and accessory such as a wireless audio receiver. 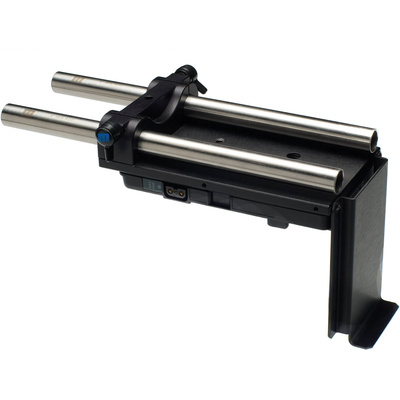 The rear-mounting of the microPowerPod provides balance for your M3 camera rig.